Join the best and brightest in the digital industry at the UXUK Awards on 22 November. Don’t miss this unique opportunity to celebrate all things UX and witness stand-out projects by some of the country’s leading brands! How Can I Attend The UXUK Awards? Places for the UXUK Awards are extremely limited. For this reason, priority will be given to the individuals and teams who are shortlisted or who have entered the Awards. However, there will be remaining seats for non-entrants. Fill in the form below to apply for your place on the night! (Please note: completing this form does not guarantee you a ticket. Confirmation emails will be sent to successful applicants by w/c 12 November 2018). 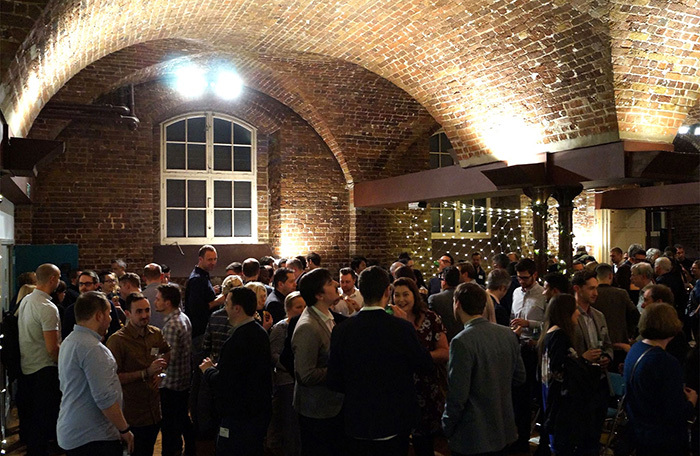 After such positive feedback over the past two years, we’ve decided to hold the UXUK Awards at the Crypt on the Green (in Clerkenwell, London) again in 2018.